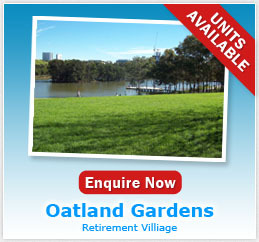 Oatland Gardens is situated in the lovely residential suburb of Oatlands (North Parramatta), approximately 14km west of Sydney CBD. The expansive parklands of the Lake Parramatta Reserve are in walking distance of the village and the village itself has views over Homebush Olympic Park and towards the Sydney city skyline. 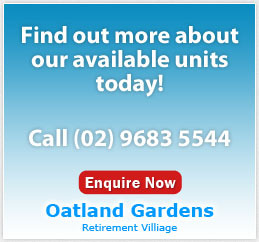 Residents at Oatland Gardens enjoy a range of shopping options with Westfield Parramatta, North Rocks and Carlingford Court only minutes away. Medical services are also close by, including Westmead Hospital. 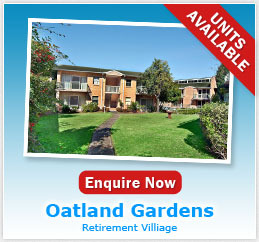 Whilst the residents at Oatland Gardens enjoy a tranquil, leafy setting, the Cumberland Highway is in close proximity ensuring easy travel to and from the village. 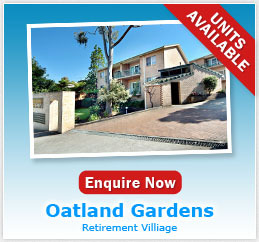 There are also numerous public transport options with both a bus stop and a train station a short stroll away.